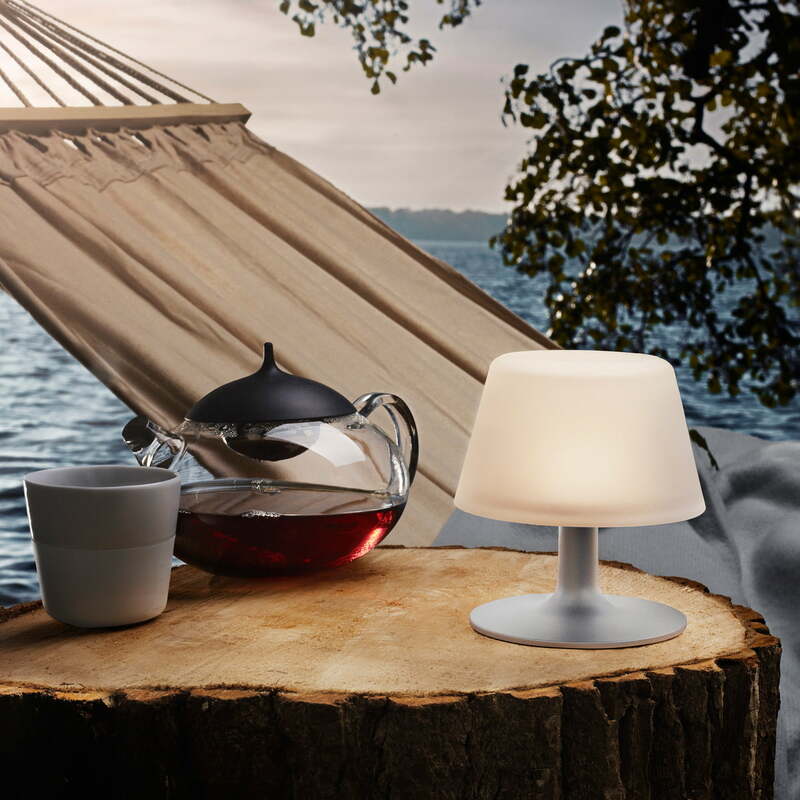 The SunLight solar lamp by Eva Solo has solar cells hidden under the frosted glass shade: no cables, no visible solar cells and nothing else disturbs the clear Scandinavian design of the SunLight, which the Tools Design duo is responsible for. 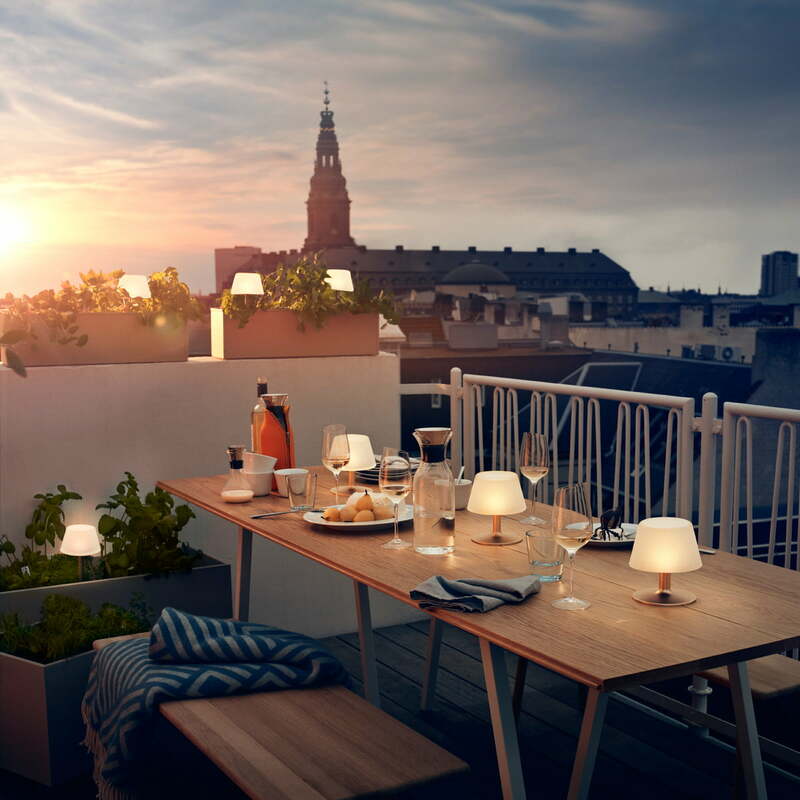 In the garden, on the balcony or on the terrace, the SunLight produces an environmentally friendly mood light without disturbing breaks in the design. After one day in the sunlight, the 500 mAh lithium battery of the Eva Solo SunLight generates light for up to 20 hours. 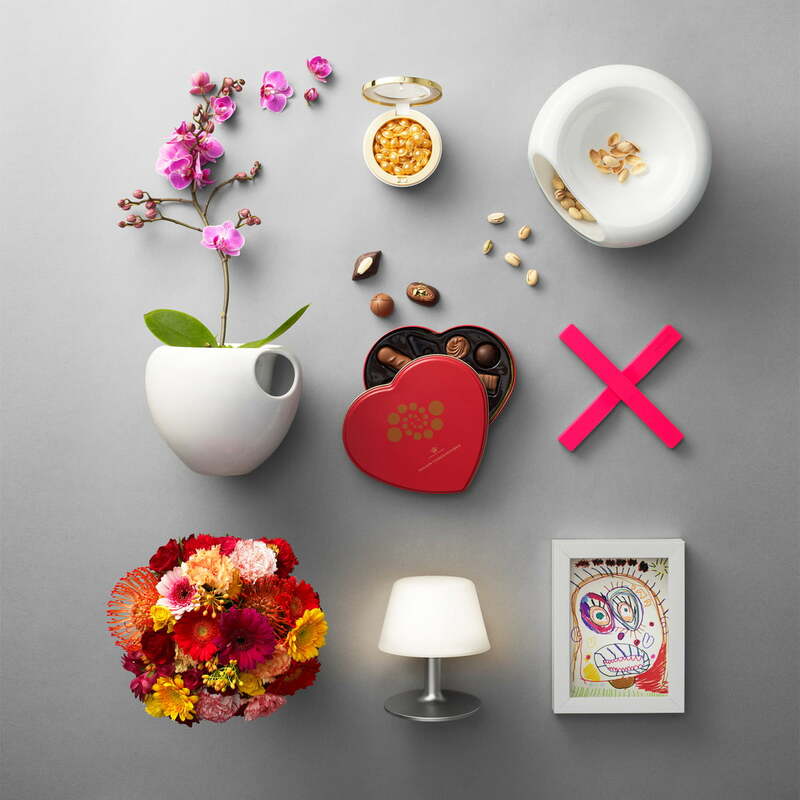 Besides the light switch, the SunLight also offers an automatic function that lets it switch on and off automatically in certain light conditions. Eva Solo makes the SunLight battery lamp from frosted glass and a base of anodised aluminium. 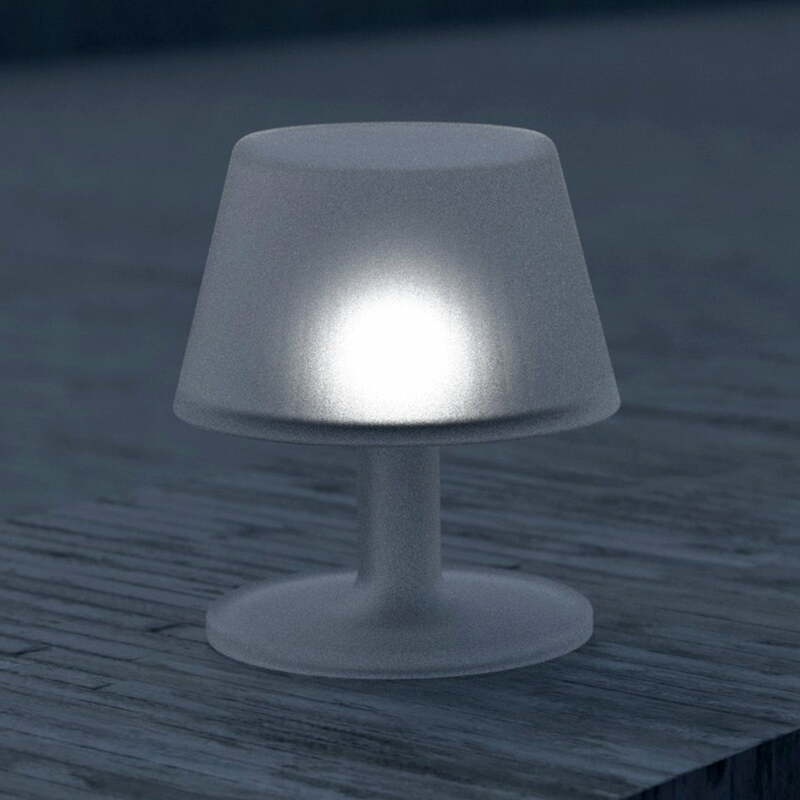 The sustainable garden lamp is frost-resistant, so that it can also remain outside during winter. 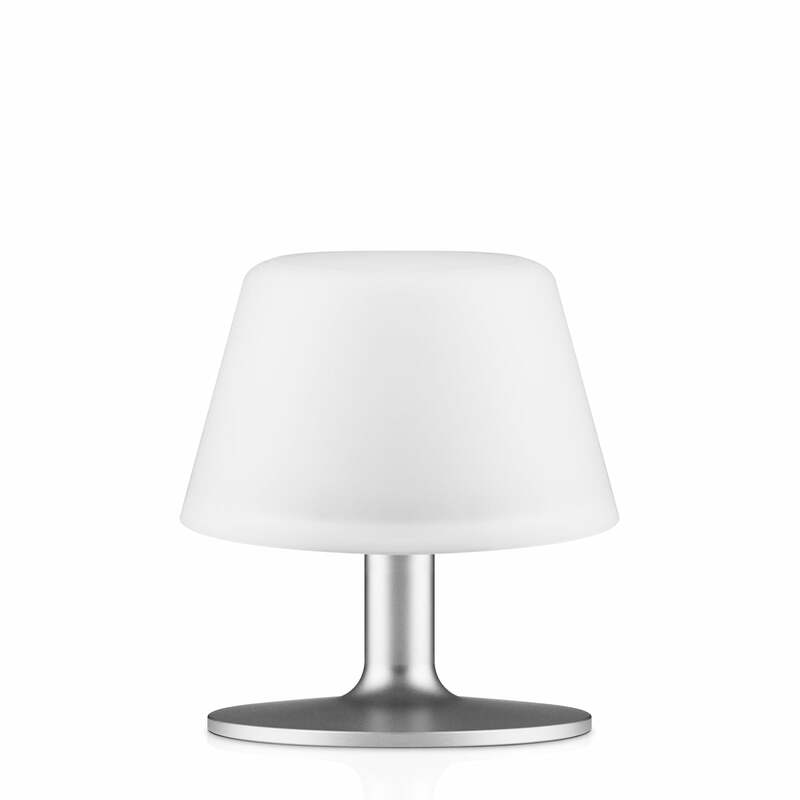 Apart from the large table or floor lamp, the solar lamp by Eva Solo is also available as a pendant light for the table or to plug in. 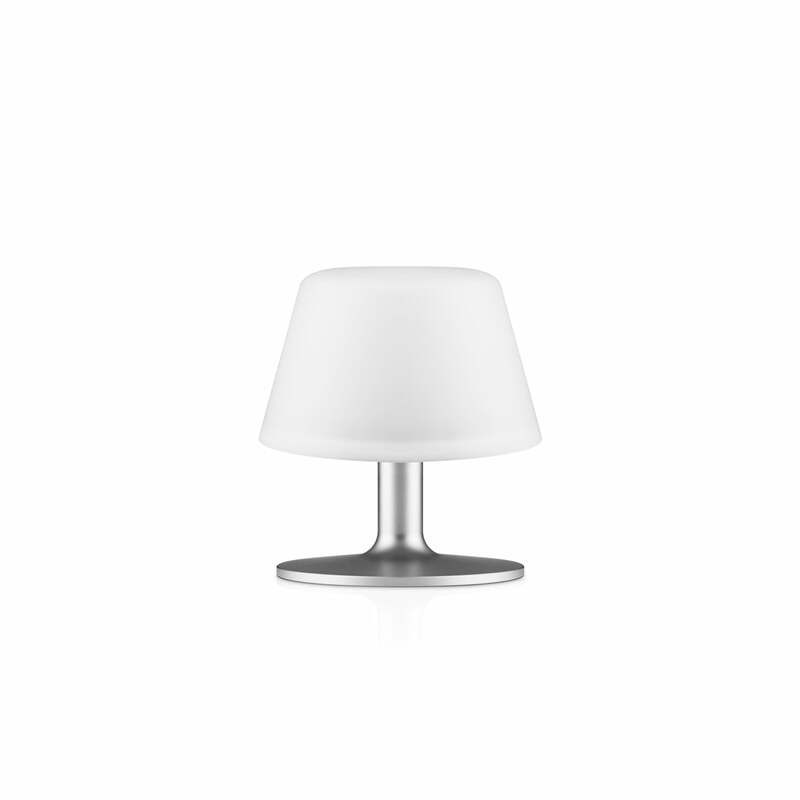 The SunLight solar table lamp for the garden by Eva solo has solar cells that are hidden under the frosted glass shade: No cable, no visible solar cells and nothing else interferes with the clear Scandinavian design by SunLight. On mild summer evenings, it introduces a pleasant mood and environmentally friendly light into the garden.